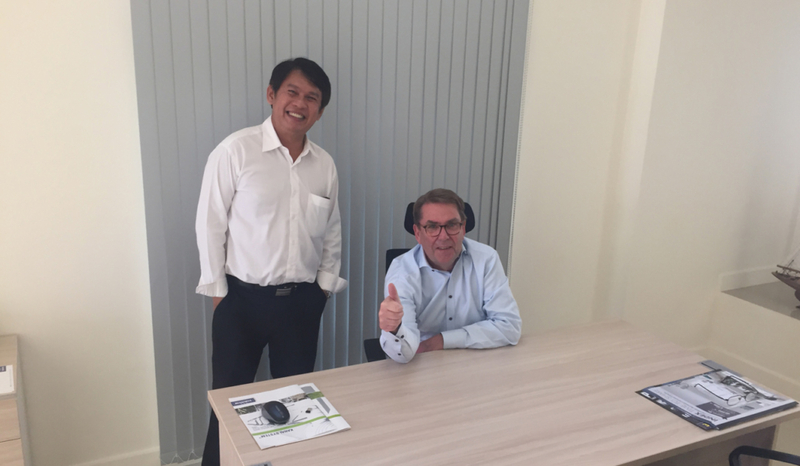 The Swedish supplier of grain management systems, Tornum, is expanding its international presence with the establishment of a subsidiary in Thailand. The company is headquartered in Bangkok and is serving customers all over South East Asia. Sales is conducted via both distributors and through direct sales to end customers. Tornum is already present on several markets outside of Sweden. However, the subsidiary in Thailand will be the first establishment outside of Europe for the company. “On the markets where we currently are present we have a strong market position. We are well known for our high quality products, our high level of service and our innovative approach. During the last years we have seen an increased interest in our products from customers outside of Europe. The establishment of a subsidiary in Thailand is a logical next step for us in our efforts to become a leading global supplier to the grain industry. With this establishment we will further develop our capabilities to serve customers in this part of the world and hopefully more customers will be interested in our products,” said Per Larsson, CEO of Tornum. The subsidiary in Thailand will be managed by Mr. Narongsak Tabyam. Mr. Tabyam has extensive experience from the food processing industry. Prior to joining Tornum, Mr. Tabyam was managing the Indo China region for the American company John Bean Technologies. In addition to Mr. Tabyam, one local technical support person will be employed by the company. “At first, we are looking for the opportunity to convert batch drying systems into continuous controlled systems by offering our expertise in drying and cooling of grains. The customers will benefit from the highest product quality in combination with high energy efficiency at optimized capacity. All in all, our offering will provide the customers with a very low total cost of ownership. Going forward, we will expand our offering to include the design of complete turnkey grain handling and storage facilities”, said Narongsak Tabyam, Area Manager SEA at Tornum. Tornum has already completed some installations in South East Asia and have a well-established relationship with one of the leading grain companies in the region. Going forward, Tornum is aiming at developing this relationship as well as selling complete systems to customers in the region. “South East Asia is one of the most dynamic regions in the world with a fast growing grain and feed industry. There is an ongoing consolidation trend in the grain industry and the leading companies are demanding high quality and reliable production equipment. We are confident that the equipment that we deliver is fulfilling these requirements, hence we are well positioned for delivering complete solutions for these type of customers”, said Per Larsson, CEO of Tornum. Tornum has conducted customer visits in the region and the feedback from the customers on the product range has been very positive. The customers were especially impressed by the Cooling Machine and the dryers with Intelligent Dryer Control (IDC). The Intelligent Dryer Control enables remote access to the grain dryer from any Internet connected device (mobile phone, tablet, computer). Thanks to this ground breaking technology, Tornum’s clients can take control of and optimize the drying process. This solution also provides the possibility to search for errors in a grain dryer from distance, e.g. troubleshooting from Sweden on a grain dryer that is installed in Thailand.